Not all social media platforms are created equal. It’s something I teach all the time in my workshops. Each has their own audience, tone, and language. When you create a piece of content, knowing how to pitch it just right for each platform is a skill that comes with time. 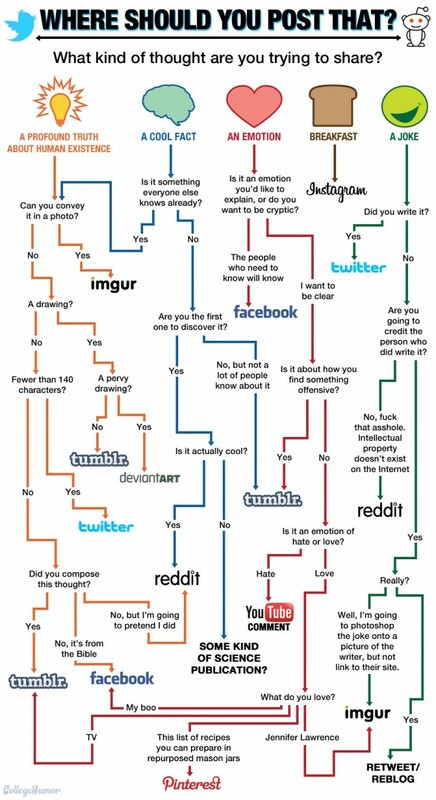 Today I came across this infographic on where to share different types of content. While it’s tongue-in-cheek, it’s certainly worth a look.